Lakeville Family Pet Clinic is proud to serve Lakeville, Minnesota and surrounding areas. We are dedicated to providing the highest level of veterinary medicine along with friendly, compassionate service. Lakeville Family Pet Clinic has been carefully designed as a 3,300 square foot clinic with state of the art technology to provide first class medical care to the Lakeville area’s ever growing community of pet owning families. The clinic will provide a family friendly experience, and has been designed to be an enjoyable place for children and all pet parents. We specialize in providing wellness and veterinary hospital services for dogs and cats. 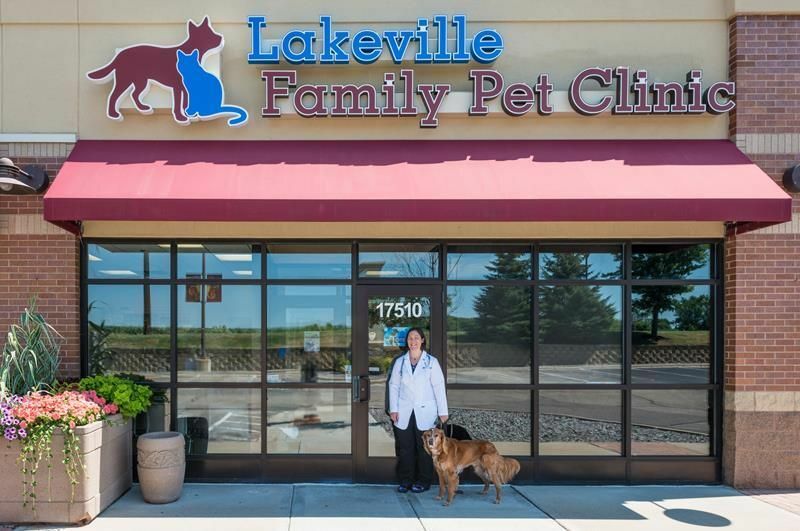 Lakeville Family Pet Clinic is proud to serve Lakeville as well as the surrounding communities of Farmington, Rosemount, Apple Valley, Prior Lake, Burnsville, Eagan & more! If you have any questions about how we can care for your pet, please don't hesitate to call us at (952) 234-6500. Thank you!